Last night Mr Tiddles (Richard) and I drove up into the beautiful Derbyshire countryside to Bakewell (yes where Bakewell tarts originate from and Richard makes the best Bakewell tart on the planet!) 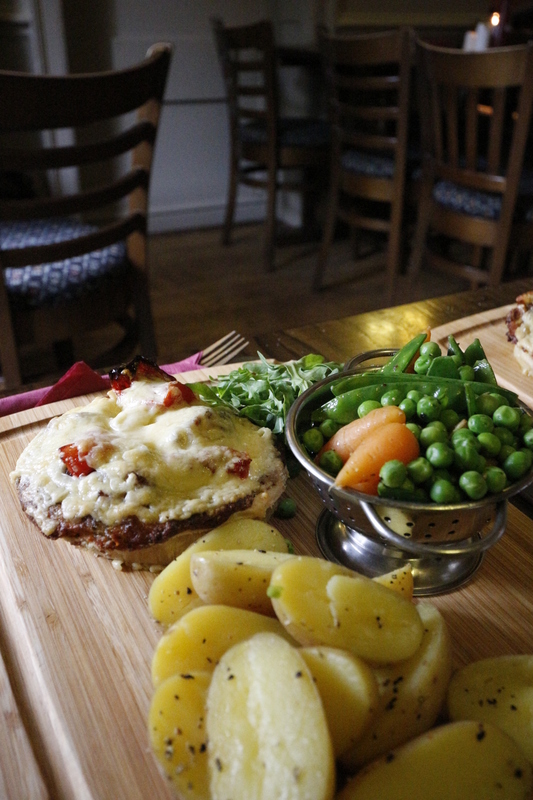 for a pub supper. The Peacock in Bakewell is my most favourite pub to eat at. The chef knows how to cook vegetables, the portions are generous and the food is fresh, tasty and presented very nicely. 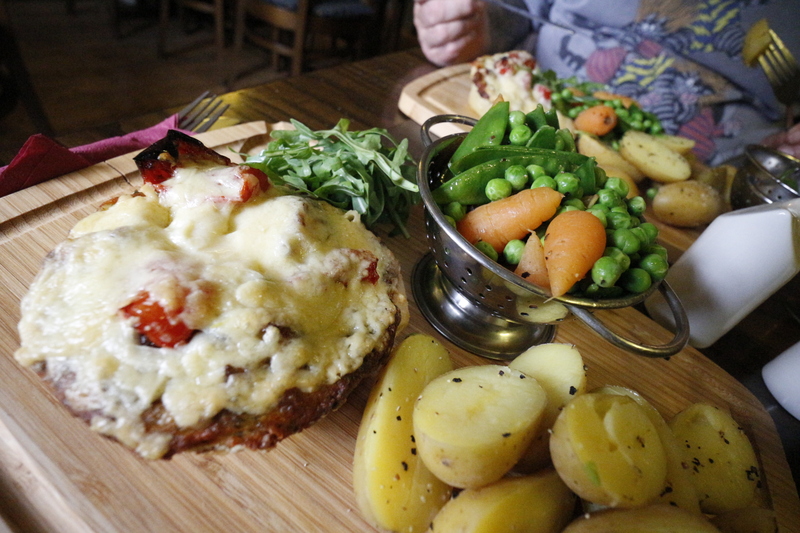 We both craved ‘Homity Pie’… served with new potatoes, a panache of vegetables and a mound of rocket. NOTHING can beat natures beauty, it’s just even better that now I have someone to share it with. ← Sing as we go 1940s Weekend – shout out! Oh, I’m salivating and it’s only 10.30 in the morning ! 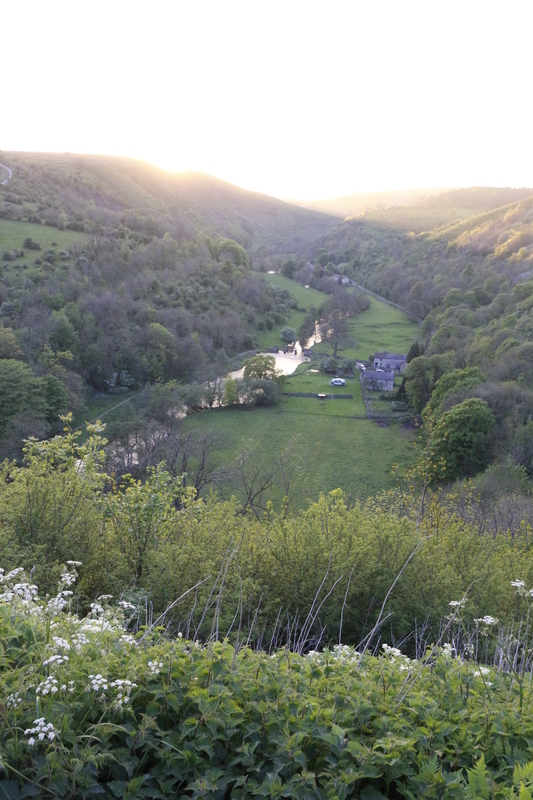 Absolutely beautiful Carolyn, the meal, the pub and that view into the valley. I am in UK for 4 weeks in July/August and have been wondering about where to go for little trips. You have given me one great idea!!! I’m still so happy for you that you have someone to share beautiful moments with too. Very nice in deed! It’s so very romantic. Can’t wait for the Homity pie recipe.